This year, the team here at Adwerx has been to several real estate events, conferences and gatherings. And we’ve met with some amazingly motivated and passionate agents. It seems like they have their ducks in a row, too. Networking is an integral part of these leading real estate agents’ agendas. Building up a sphere of influence and finding like-minded professionals to share expertise with are two critical activities that expert agents don’t ever stop doing. So what can a new real estate agent do to make the most of networking opportunities? Break out of your bubble. It’s tempting to hang with the crowd you know, but that’s not how you expand your circle. Meet folks from new zip codes. Not only does this give you connections in new locations, but they might have different insights and strategies you can try. Don’t sell. These events aren’t about self-promotion so much as self-improvement. You should be at a networking event to engage with other professionals on market information or recommend investments or compare problems you have faced. 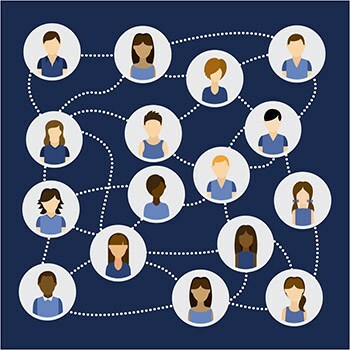 These are just two of the suggestions from our friends at Contactually, “10 Networking Tips for REALTORS.” Check out the full article to get the other eight tips. And make a plan for your next event so you get the absolute best value from your networking efforts.